Osteopathy is concerned with the arrangements of the parts of the body and their movements. To make a diagnosis your osteopath will take details of your medical history, which will include past illnesses and present health. Osteopaths then use palpation to examine the patient. Palpation means to examine by the use of hands, something that Osteopaths take a long time to learn. Palpation has been refined for more than 130 years, and Osteopaths are able to demonstrate extremely sensitive abilities to using palpation. A caring approach tailored to the individual is always adopted. If appropriate, and with your consent, treatment may commence and the further management of your case will be discussed. Linda Aryaeenia uses a wide range of techniques, including massage, cranial techniques (sometimes referred to as ‘cranial osteopathy’) and joint mobilization and this breadth of approach allows her to focus on every patient’s precise needs. Treatment is usually a pleasant experience, and patients often feel relaxed and drowsy afterwards. After treatment, Linda can advise on how to maintain a realistic level of health and prevention of future problems. For example, remedial exercises to adjust posture or advice on diet, and lifestyle can be given. Osteopaths also recognize that the body has to be in balance on a physical, emotional and spiritual level, for full health to be expressed. Please click here to learn more about cranial osteopathy. Classical Osteopathy is a way of thinking about and treating patients based on the methods and philosophies of the early Osteopaths who were practising in the late 19th and early 20th centuries. It was a time when osteopaths believed that manual therapy could be beneficial to a wide range of medical complaints such as circulatory and respiratory problems or even the common cold. In the USA where osteopathy was founded they even set up osteopathic hospitals to treat these complaints and it is thought that they had significant success at the time. The techniques are based on what is known as a General Body Adjustment and involve all the major joints and muscles being assessed and treated in each consultation. The techniques are generally gentle and relaxing in nature. However sometimes it may be beneficial for more forceful techniques to be used in order to overcome specific restrictions in the tissues. It has been said that ‘our biography becomes our biology”. The formative experiences of our lives do not shape just our character, they also shape our bodies. Physiology, and even physical structure, is shaped in part by life experience. 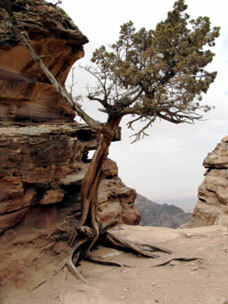 Think of the young sapling, which grows against the prevailing wind: to the observer, it has a wonderful story to tell, of how its unique shape has been sculpted by the very environment in which it manages to thrive and reach maturity. To a skilled Osteopath the body is a book to be read, telling its own unique story. In the same way, for example, a schoolboy might develop back pain from continuously carrying heavy school bags over one shoulder. From his growing years at school, which might affect the way he holds his body on one side, to becoming ‘set’ as a fully formed adult. Whilst we are unable to provide a definitive list of the sort of conditions, which may respond to treatment, we welcome enquiries to discuss the possibilities of helping you on a case-by-case basis. We are always happy to discuss things over the phone before you make an appointment.